Larry Bertleman "2014 Surf Champion"
Some surfers see lines that others don’t even know exist. And one young Hawaiian nicknamed “Rubberman” was doing exactly that while breaking ground for the hotdog generation and aerialists of the future. Larry Bertlemann, born in Hilo, Hawaii and raised in Honolulu, put that little bit of extra wiggle into his wave riding at a time when stiff-legged logging was on it’s way out. 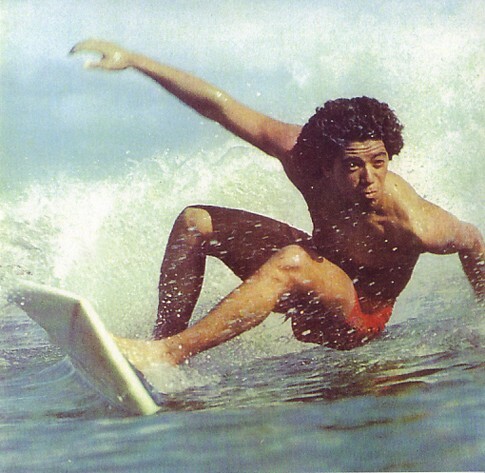 His extra-flexible body dynamics directly in influenced the styles of Dane Kealoha, Buttons Kaluhiokalani and Mark Liddell, while most of his magic went down on Ben Aipa’s split-railed stinger boards during the mid-’70s. 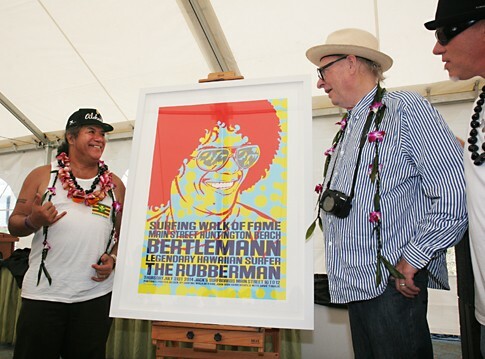 Bertlemann’s technique didn’t go unnoticed as he amassed eight covers of Surfng and Surfer magazines during the ’70s – more than Gerry Lopez, Shaun Tomson and Mark Richards. He also appeared in over 25 surf films. Bertlemann reveled in all the press and attention. His flashy fashion sense and well-manicured Afro drew endorsements from the likes of Pepsi, United Airlines and Toyota. He even once surfed Pipeline wearing a custom blue and red bell-bottom wetsuit. PHOTO: Bertlemann hard cut back. Photo courtesy of Dan Merkel. 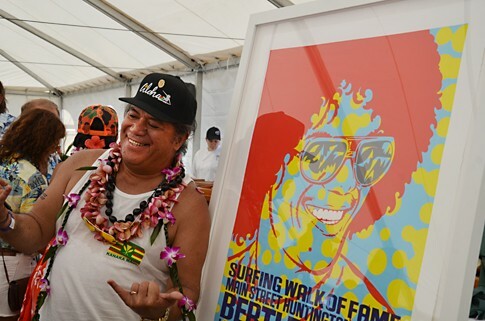 PHOTO: Bertlemann was famous for riding his hotdog boards in Honolulu that influenced a generation of Waikiki kids. He rode boards that were shorter and went faster, and changed the way we surfed. PHOTO: This famous shot from the early ’70s by Dan Merkel was the cover of Surfing Magazine and showed Larry’s unique driving style. But he backed it all up in the contest arena as well. His career kicked off when he won the junior division of the 1971 Makaha International. 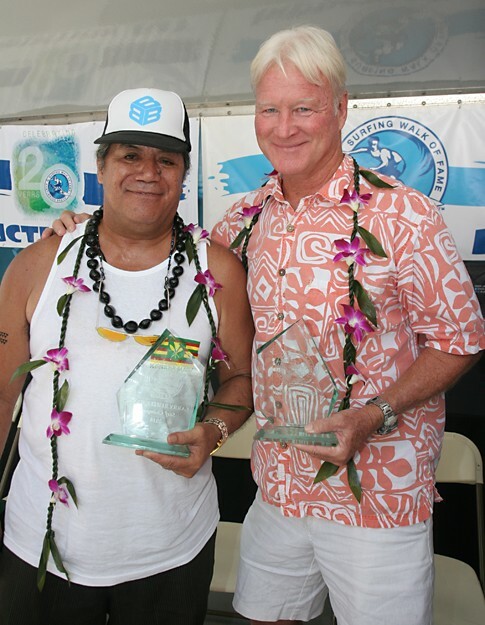 From there, he took fourth in the 1972 World Surfing Championships, won the Hawaii state and national titles in 1973. 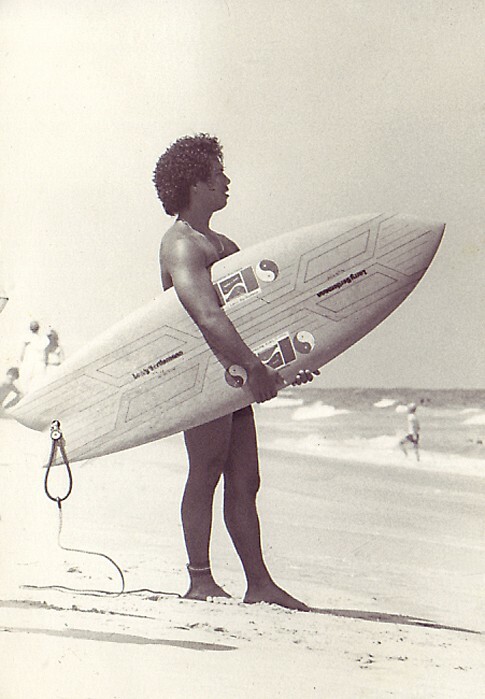 And while the lines blurred between pro and amateur ranks back then, Bertlemann finished third in the 1972 Pipeline Masters, took third in the 1973 Smirnoff Pro, won the 1974 Duke Kahanamoku Classic, and took runner up in the 1975 Lightning Bolt Pro. Bertlemann was ranked 13th in the world in 1976, won the Katin Pro/Am in Huntington Beach in 1978, and in 1979 finished 12th in the world. Despite dropping off the surf world’s radar around 1985 with back problems, Bertlemann returned to glory with a lengthy profile in Surfer’s Journal in 2001. 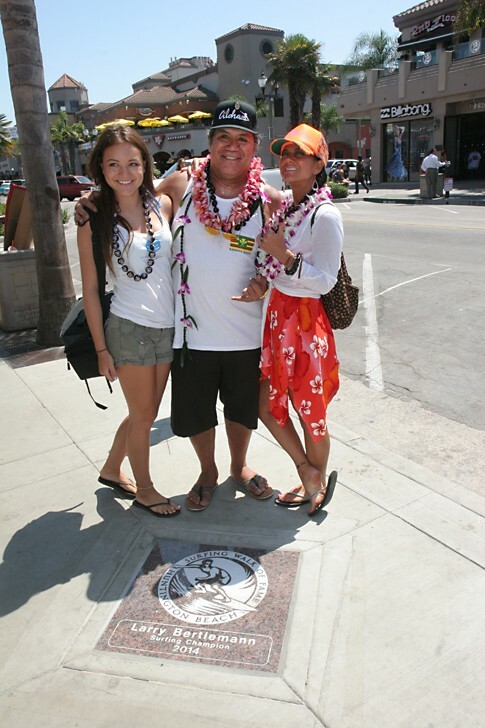 And his induction into the Surfing Walk of Fame, will cement his legendary status for all of eternity. PHOTO: Bertlemann enjoying the unveiling of the SWoF poster by legendary artist John Van Hamersveld. Photo courtesy of Lew Harrison. PHOTO: Bertlemann and John Van Hamersveld. Photo courtesy of Sharon Marshall.